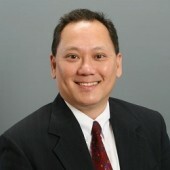 Kenneth K. Liu, CPA is a tax and accounting professional who has been serving clients in the Washington DC, Maryland, and Virginia areas for over 25 years. Kenneth offers a full range of accounting, tax, bookkeeping, QuickBooks training, and small business consulting services at affordable fees. We're flexible. We're friendly. And perhaps most of all, we listen. Contact us today for a complimentary, no cost, no-obligation consultation!